Unlike the virtual reality technology that completely immerses users inside a synthetic environment where they cannot see the real world around them, Mixed Reality (MR) and Augmented Reality (AR) technologies permit the real-time fusion of computer-generated digital contents with the real world and allow the creation of fascinating new types of user interfaces. AR supplements reality rather than completely replacing it and the user is under the impression that the virtual and real objects coexist in the same space. Nowadays the 3D world has become very realistic and research has been focused on 3D interaction with specific interests in natural user interfaces and tangible interfaces. Since interaction is closely related to perception, sensory interfaces are continuously evolving for a perception that is now multi-sensory. Many applications of VR/MR/AR technologies have been developed in different fields (medicine, education, arts and cultural heritage, entertainment, military, and industry). Recently, new concepts such as Natural User Interfaces and Mobile Immersion have emerged and permit to combine these technologies with new mobile human-machine interfaces. Consequently, mobile immersion will allow users to move away from purely physical communication mode to a mixed/augmented reality communication, interaction and collaboration mode. Interactions will be natural and augmentations will become ubiquitous. 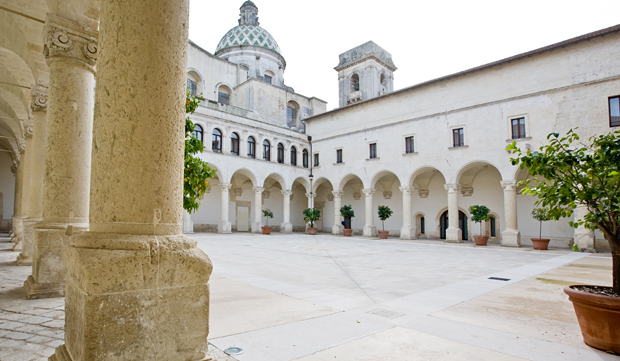 The main aim of the Augmented and Virtual Reality Summer School 2019 is to propose a privileged moment for stimulating discussions and exchanging scientific experiences and technical results related Virtual Reality and Augmented Reality technologies. The Summer School is open to Ph.D. and Master students, post-doctoral researchers and academic or industrial researchers. PhD students will receive credits (CFU). Ph.D. students are encouraged to submit their research-in-progress presentation during the summer school. Researchers of university and industry who want to present the results of their projects or give a lecture on a specific topic concerning the augmented reality technology are welcome. Any proposal to presentation from academic or industrial researchers and Ph.D. students has to be sent to info@salentoavr.it specifying the title of the presentation and a short abstract. The Augmented and Virtual Reality Summer School fee is € 700 and includes lectures, daily lunches and coffee breaks as well as social activities. For both payment modalities is mandatory to carry out the conference registration. Details about the payment of the registration fee will be available in the next months. 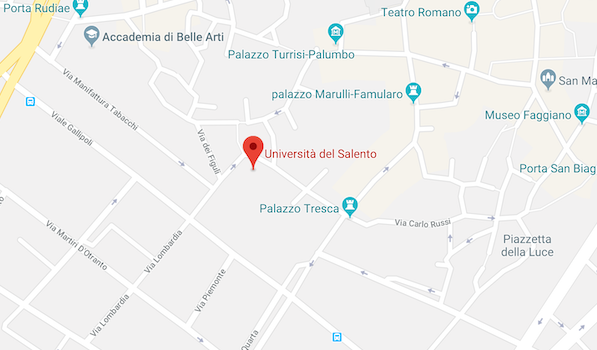 The AVR Summer School will take place in the conference room of the Rectorate of the University of Salento.